Spinoza is considered the greatest exponent of the most radical rationalism. This stereotyped view prevents some to realize that Spinoza was also a scientist. Although he did not make great contributions, the main one was probably the quality of the lens he supplied to Christiaan Huygens, he had an above average knowledge of some branches of natural philosophy like alchemy/chemistry and a thorough grasp of modern scientific method. Oddly for the stereotypical rationalist he kept an open mind to new discoveries relying on experimentation to confirm them. The night of the 17th of January 1667 Johannes Friedrich Schweitzer turned a little amount of lead into gold in a crucible. Helvetius, as he signed his papers written in Latin, said the experience had taken place in The Hague. No need to say the great stir this news caused in the city and its outskirts. However, only three written references are known to us. First we have the work signed by Helvetius himself that was published shortly after the experiment took place: Vitulus Aureus quem Mundus Adurat et Orat (Amsterdam, 1667). A mention of the event can also be found in the preface that Hornius wrote for his edition of the works of Geber (Leyden, 1668). 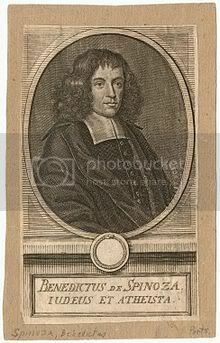 Finally the text that attracts our attention most: the letter that Benedictus Spinoza sent to his friend Jellesz dated on the 27th of March 1667. But we need some context before. Heinrich Oldenburg was a German from Bremen with an ample education in theology, Latin and science that decided to settle in England where he had a wide network of contacts and friends. He had left in the continent also lots of relevant acquaintances. At the beginning of 1660s he joined a group of individuals that used to meet at Gresham College to perform “experimental investigations into the secrets of Nature”. Oldenburg became an active member of this club and, when they formed the Royal Society in 1662, he was appointed Secretary. Among his duties would be to keep the correspondence between the Society and its counterparts in the continent and gather information and data about researchers abroad and their results. Just before he took the post over, Oldenburg had met Spinoza in Amsterdam. From that moment he kept correspondence with the philosopher regularly. There are several letters known to us from this interchange, but only three are of interest now. In these ones Spinoza shows an outstanding knowledge and competence in chemistry. These letters are an exchange of opinions between Robert Boyle (member of the Royal Society) and Spinoza, mediated by Oldenburg, in respect to some of Boyle's texts that the Secretary himself had sent to Spinoza in the autumn of 1661: a copy in Latin (Spinoza did not read English) of “some physiological essays”, among them the Essay on Nitre . According to Oldenburg, Boyle had written these essays to “show the utility of chemistry to confirm the mechanical principles of Philosophy”. This was, precisely, the main point of discussion. Robert Boyle is considered one of the fathers of modern chemistry. 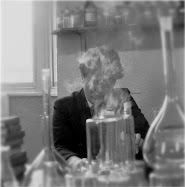 In The Skeptical Chemist he distinguishes between element and compound when it was still common to make reference to the four traditional Aristotelian elements and the three alchemical principles (sulphur, salt and mercury). In the Essay on Nitre his aim was to demonstrate experimentally that the distinctive features of nitre and its constituents (flavour, odour, etc) and, in general, those of any substance, could be explained because of the differences in shape, size, relationship and movement of its particles. Spinoza agrees with this corpuscular explanation. However, he says that the fact that Nature operates only according to mechanical philosophy is something that can not be demonstrated experimentally but only by the intellect, the way Descartes and Bacon had shown. In his letters to Oldenburg, actually addressed to Boyle, Spinoza not only discusses philosophical (in today’s sense) aspects but also in depth purely procedural details of the experiments carried out by Boyle, showing his familiarity with chemical theories, his knowledge of ingredients and tools and, most importantly, his competence in experimental chemistry and in making use of the scientific method of formulating hypothesis and checking them experimentally. In a word, Spinoza was a competent chemist. Spinoza only had received formal instruction in Hebrew, the Torah and the Talmud in one of the Portuguese synagogues of the Jewish ghetto in Amsterdam. But he wanted more and, before his excommunication from the community, in 1654 or 1655, he had joined Frans van den Enden´s school of Latin. Van den Enden was a polymath. His pupils not only received instruction in Latin but also in arts and sciences. At that time very important alchemists/chemists were working in Amsterdam, among them Paul Felgenhauer and Johannes Glauber. Van den Enden used to attend the discussions regarding chemical experiments held at Glauber´s laboratory, where a lot of work was being done about nitre at the end of the 1650s. Glauber is the “chemist of the saline solutions”; his name is linked to the study of these and, still today, sodium sulphate is called Glauber´s salt. If Spinoza was so knowledgeable about nitre why not suppose that he accompanied his master to Glauber´s lectures? Therefore Spinoza had enough education, both in theoretical and practical issues, to proficiently assess what had happened in The Hague in January 1667. Johannes Friedrich Schweitzer was the physician to the Prince of Orange. According to Helvetius’ (Latin form of Schweitzer, Swiss) account on the 27th of December he received the visit of a foreigner that would not reveal his name but who said that he was presenting him the material evidence of the existence of the philosopher’s stone. Why he chose the physician for such a revelation is something that Helvetius does not tell us. After a long conversation where the alchemist explains the principles of his science, he shows a metallic yellow powder making the promise of coming back in three weeks. The scheduled day the alchemist comes back and gives some of the philosopher’s stone to Helvetius with instructions about how to proceed in the experiment. The following night the physician made the experiment: he melts fifty grams of lead in a crucible then he adds, covered with wax, the philosopher’s stone and let the mix on the fire for a quarter of an hour. After this time the metal has a characteristic greenish yellow colour. After pouring and cooling, the metal has the very same appearance of gold. The silversmith that tests it the following morning certifies it is gold. In his Principia Philosophiae (third part; the only place he talks about chemistry) Descartes said that “matter, with the help of these laws [of Nature], takes successively all forms it is able to take”. Spinoza, very influenced by Descartes, faced what had happened in The Hague with an open mind. The news was so important that he prepared to check the facts himself. Spinoza tells us what he did in the letter he sent to his friend Jellesz. First he contacted a colleague of Huygens, and his friend, a researcher in the fields of optics and the nature of light: Isaac Vossius. Vossius simply laughed at him. Undeterred, he visited Brechtelt, the silversmith that had tested the gold. He told him that the gold had increased its weight when he had mixed it with silver. Then he visited Helvetius himself that showed him the crucible and commented on his intention of writing an account of the experiment. We do not know the conclusions Spinoza arrived at after his investigations, though one thing is sure: he kept his interest in alchemy/chemistry. 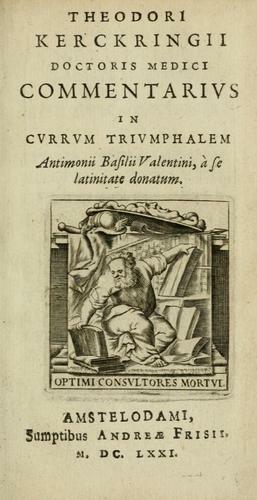 In his short library there was a copy of Kerckrink’s Commentarius in Currum Triumphalem Antimonii Basilii Valentini that had been published in Amsterdam four years later, in 1671.Years later Spinoza is still active in the chemical art. Schuller, a friend and a physician, writes to Spinoza telling him that he has been able to obtain gold from antimony. Spinoza answers, in purely technical grounds, that it could have not been possible but does not deny the possibility that it could be done and blames the procedure for the failure. Schuller answers asking Spinoza to proceed himself with the experiment, as he has sent him the Processus. Spinoza, already ill (he would die in months), and living in a social environment not at all favourable, replied that he did not think he would have the time. Spinoza’s philosophical system is the last comprehensive system in the history of Western philosophy. Difficult to understand and rich in nuances of meaning, it has shadowed the figure of its author. The little sample we have just presented may give a glimpse of the richness of one of the most beautiful minds in the history of mankind. 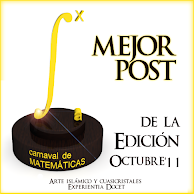 This post is a corrected and expanded edition of the original I published in Winone and a contribution of Experientia docet to the VIII Edition of the Carnival of Chemistry hosted by Science box.